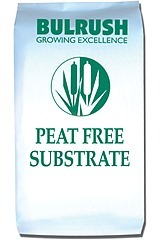 Our unique range of peat-free substrates have been developed to complete the range of substrates available. The traceability and consistency of the raw materials used form the basis of the performance of the final product. A range of nutrient levels are available to suit different crop production requirements. Available sizes: 70L bag and small semi-bulk.